I know … the colour grey doesn’t evoke the best qualities of autumn. Rather the hot reds, bronzes and burnt oranges: colour before the onset of cold, grey winter – and colours that I love, too. 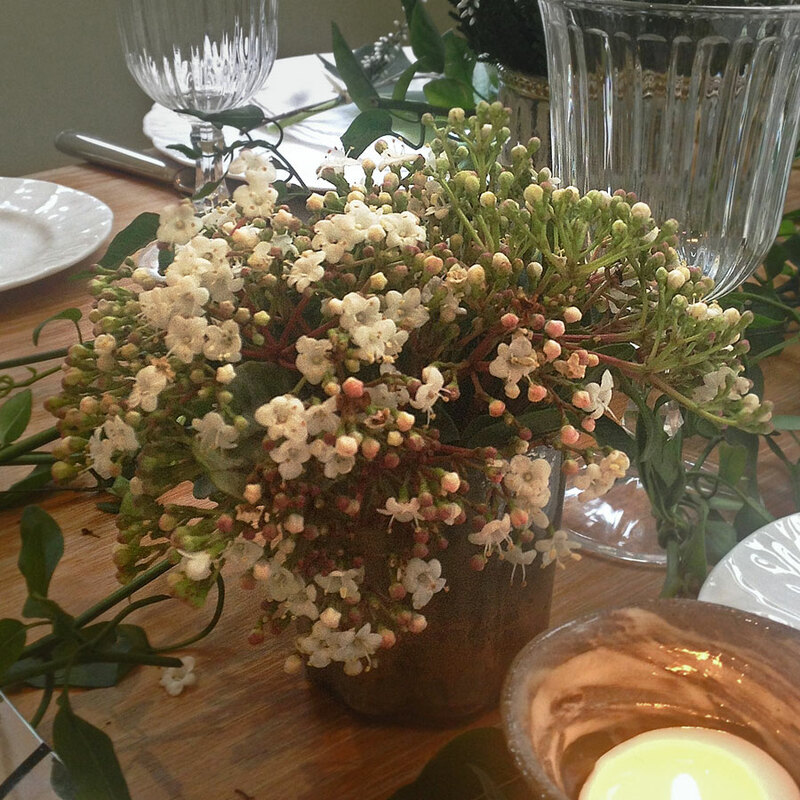 But why not break with tradition and create a contemporary and elegant table filled with the abundance of white flowers and grey foliages that are around at this time of year. Embrace the cool, with a touch of rustic for a truly different take on a season that has so much more to offer than pumpkins! Viburnum tinus is just coming into flower at this time of year. 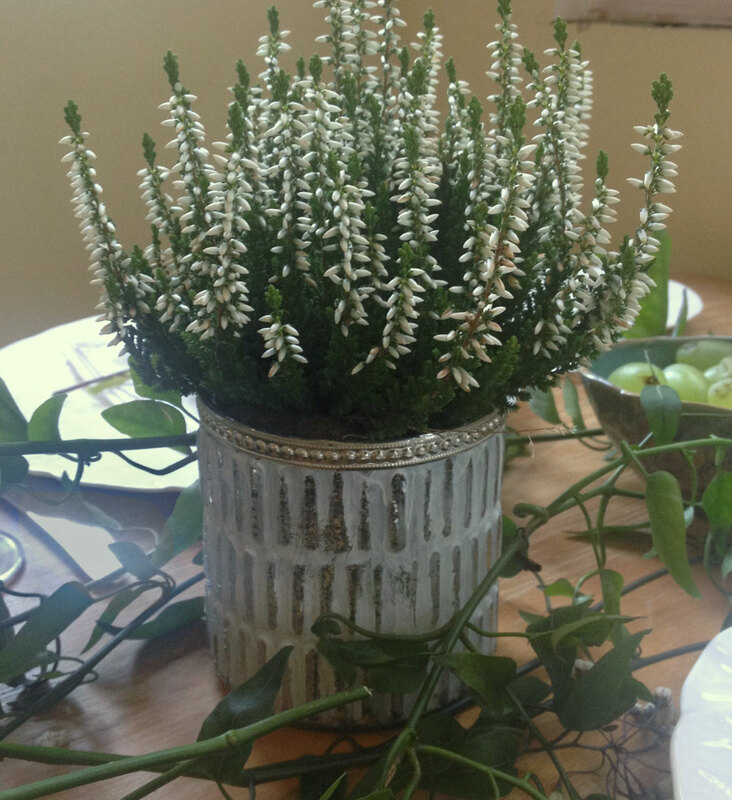 The delicate white/pale pink flowers look fantastic in an antique silver votive along with the silver/grey leaves of Senecio. 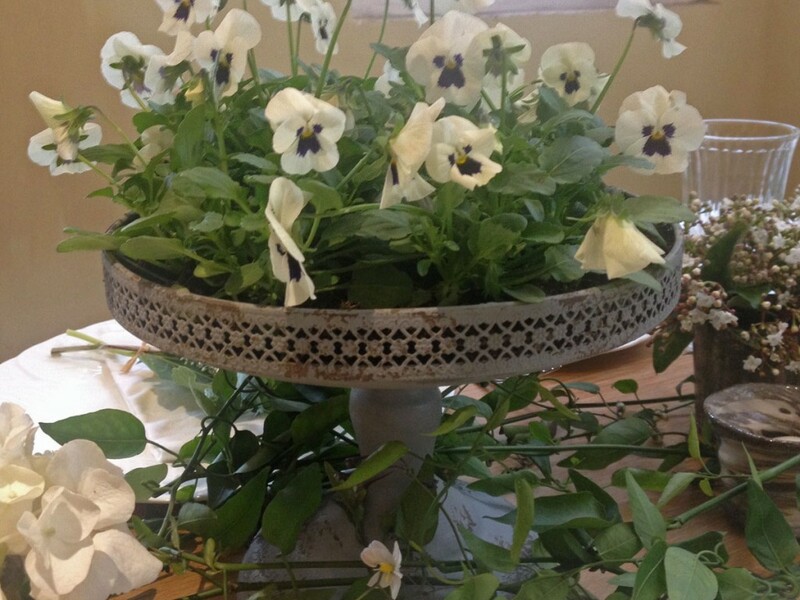 White heather is simple and subtle in a white and silver container, and delicate Viola dances on a grey cake stand.